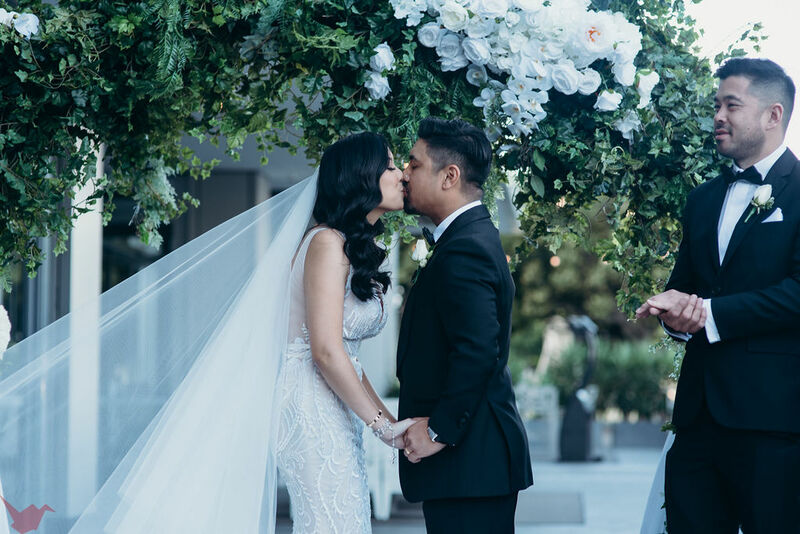 Having first met each other while working at the same company, James and Felicia quickly developed a friendship and after a while, their relationship turned into something romantic. What was meant to be a birthday vacation for James, organised by Felicia, turned into a romantic ‘dream’ surprise proposal. Felicia was overwhelmed with happiness! And so began the wedding planning! 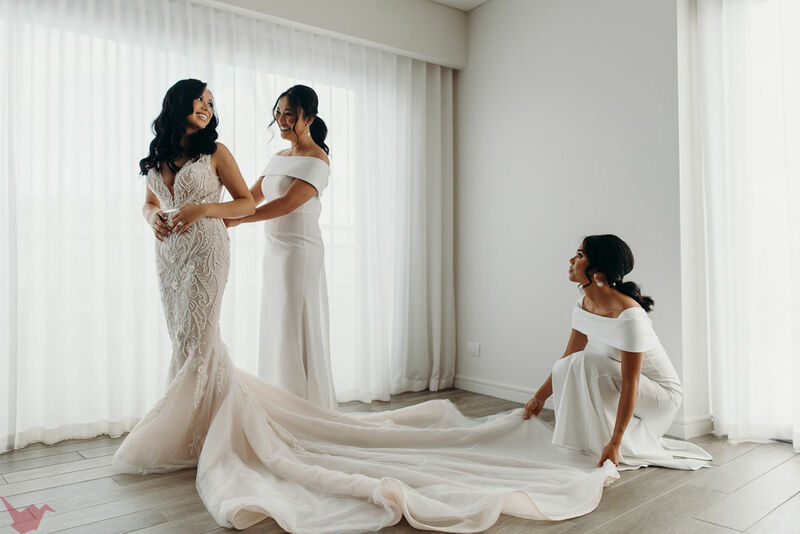 Dressed in custom Steven Khalil wedding gown, the bride walked down the aisle of our Darling Island promenade where they tied the knot in front of the most cherished friends and family amongst the stunning Pyrmont Bay views. 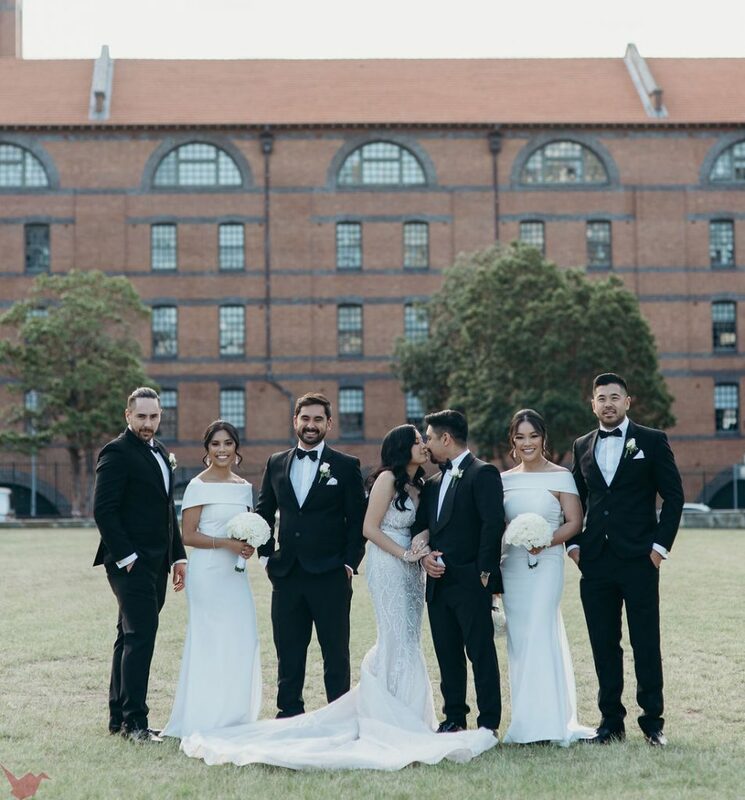 James and Felicia continued their celebrations inside our Doltone House Darling Island venue. 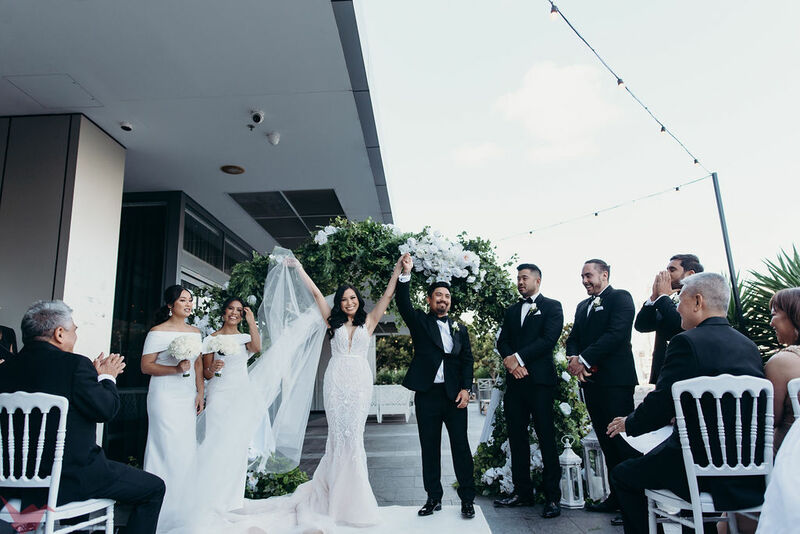 Located at Pyrmont, the couple and their guests enjoyed a chef selection of canapes and beverages while overlooking the spectacular waterfront and the city sky line. 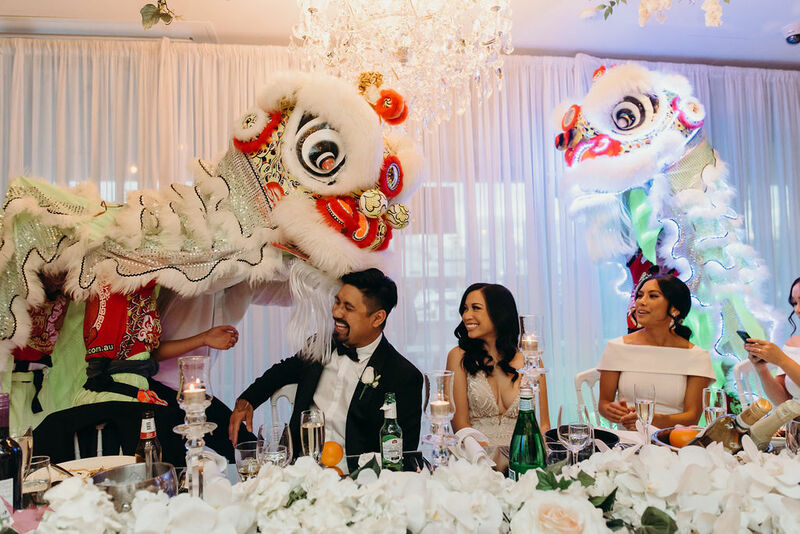 To help bring their dream wedding to reality, they turned to Anna Wang Event Designer who captured their style perfectly. 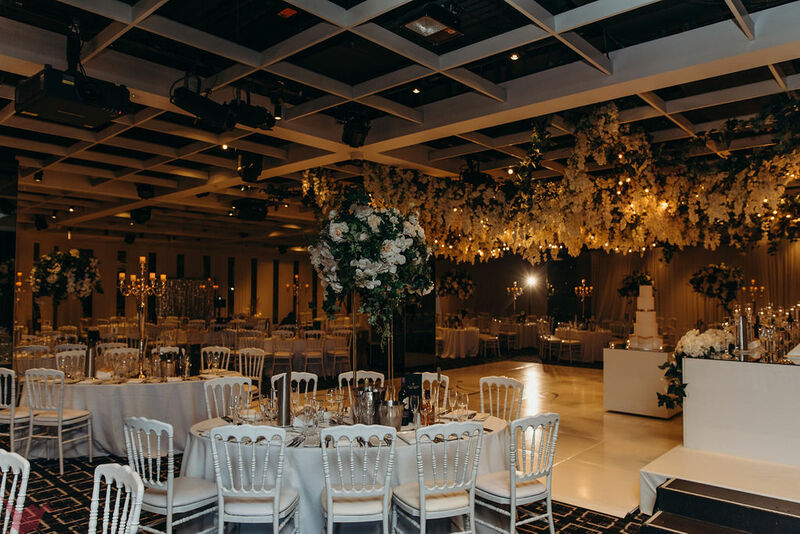 Wanting a simple, yet elegant wedding with neutral tones, James and Felicia opted for a white themed wedding with gold touches. 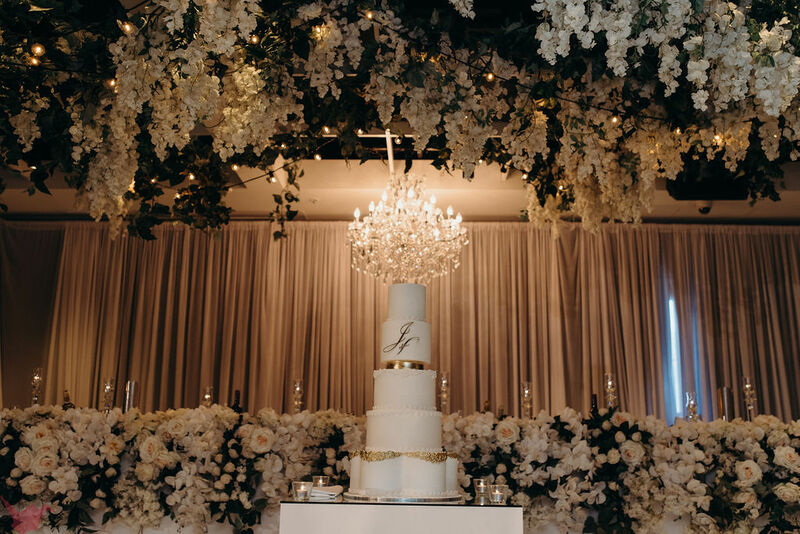 Hanging wisterias, roses and fairy lights adorned the ceiling, bridal table and guest tables for a breathtaking celebration. 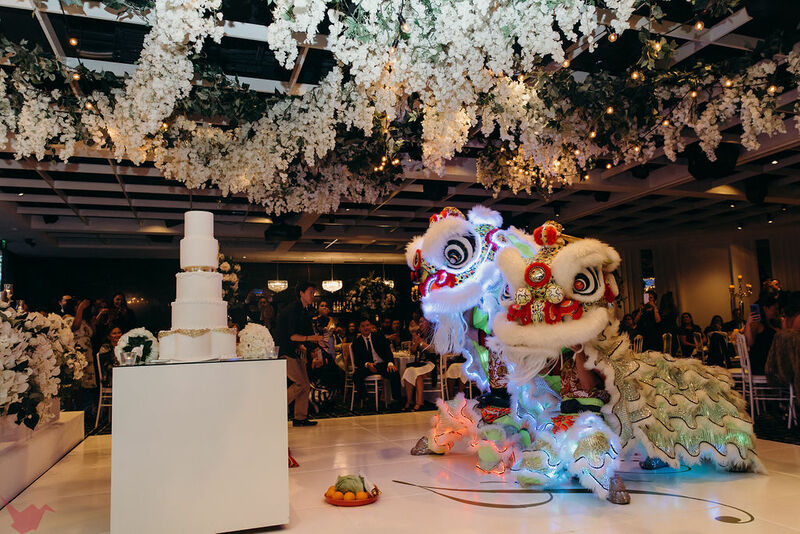 Referring back to their cultural backgrounds, the couple organised for traditional lion dancers to perform on the night to bring good luck and well wishes. James and Felicia treated their guests to a decadent 3-course meal starting off with Seafood Linguine and Truffle Mushroom Risotto. 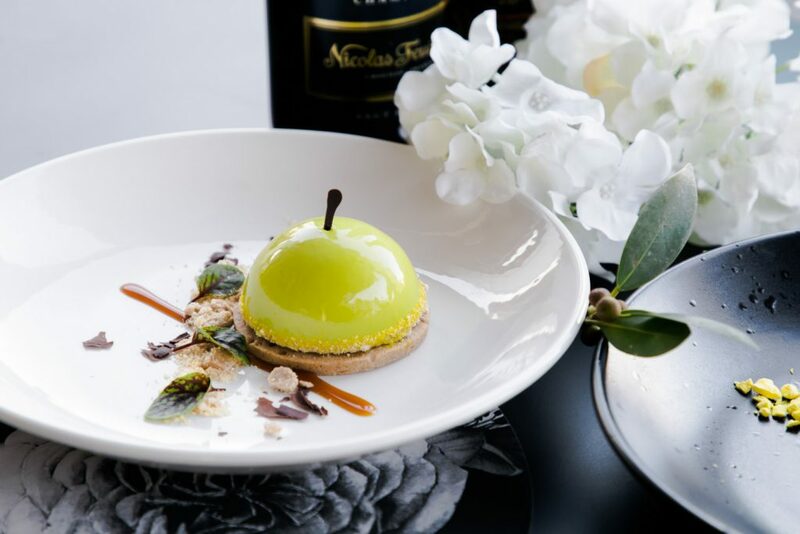 Ending the night with our mouthwatering Apple Crumple Parfait and French Vanilla Creme Brulee desserts. A Doltone meal that no one will forget. The one piece of advice Felicia and James would like to pass on to future brides is to just have fun on their wedding day and the planning leading up to it. Don’t feel so overwhelmed by the planning process, your bridal team, friends and family will always be there to help. The couple also wishes future couples to enjoy their wedding day because before you know it, the day will end in a blink of an eye.